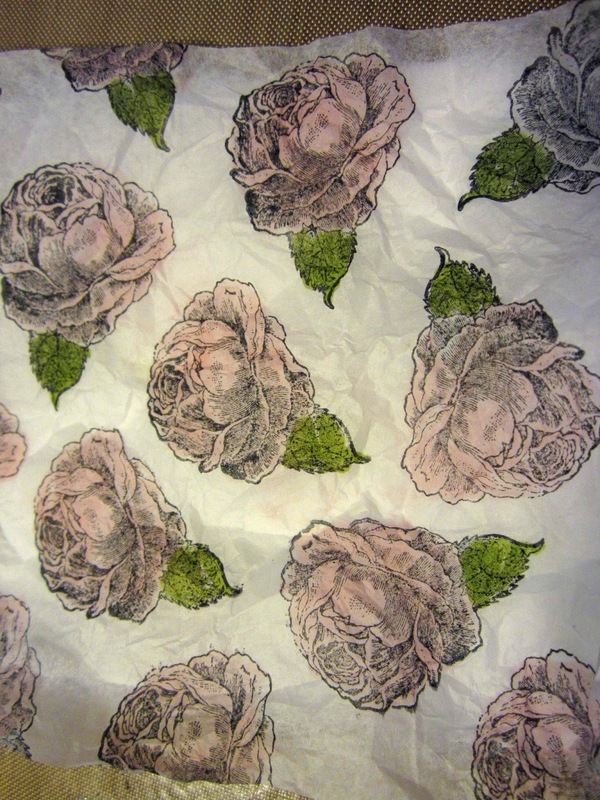 Using Black StazOn ink, stamp all over the tissue paper. Your tissue paper will look like this. Turn it over. 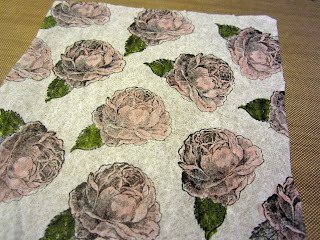 Color the backside of the tissue paper using your markers - I used Pretty in Pink for the flowers. 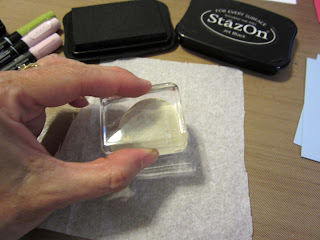 For the leaves, I used Old Olive. 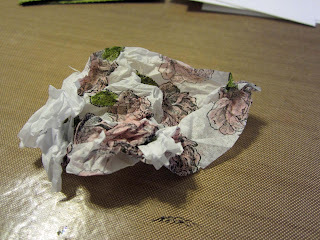 Your tissue will look like this from the front side when you are done coloring. 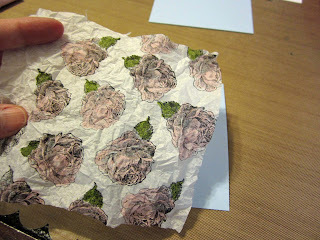 Now, the fun part! Crunch it up into a tiny ball in your hand. Next, carefully open it back up but not completely. 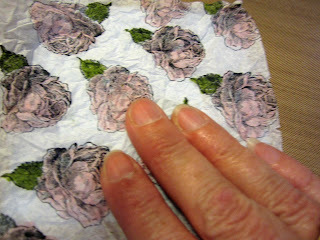 Make sure you don't tear the tissue but also don't open it so much that you stretch out all of the wrinkling. Place your tissue paper onto your glued cardstock, making sure that you do not smooth out the wrinkles before it gets placed down onto the cardstock. 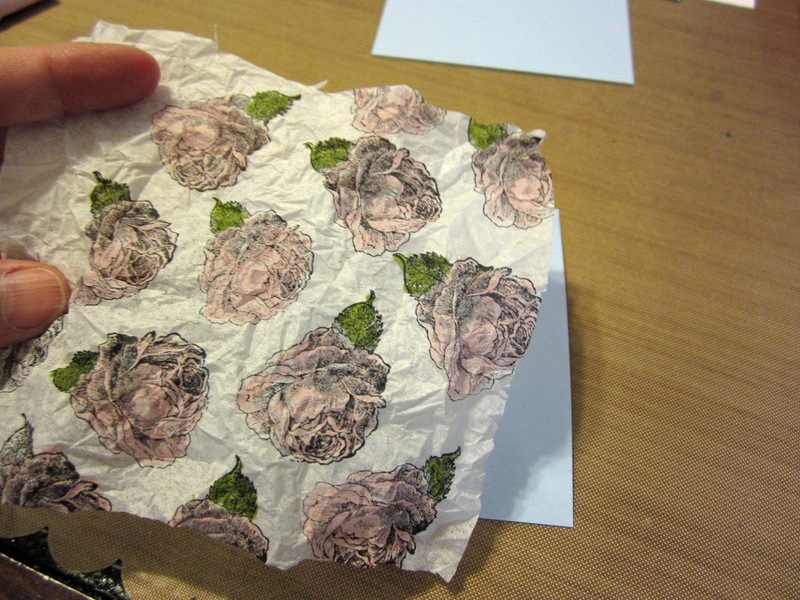 Press around the entire piece so you get a complete seal on the tissue. 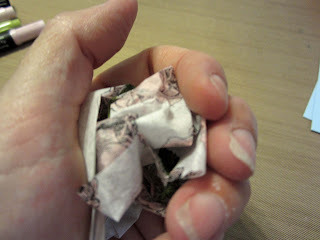 You will find that areas crinkle in order to absorb the loose tissue. 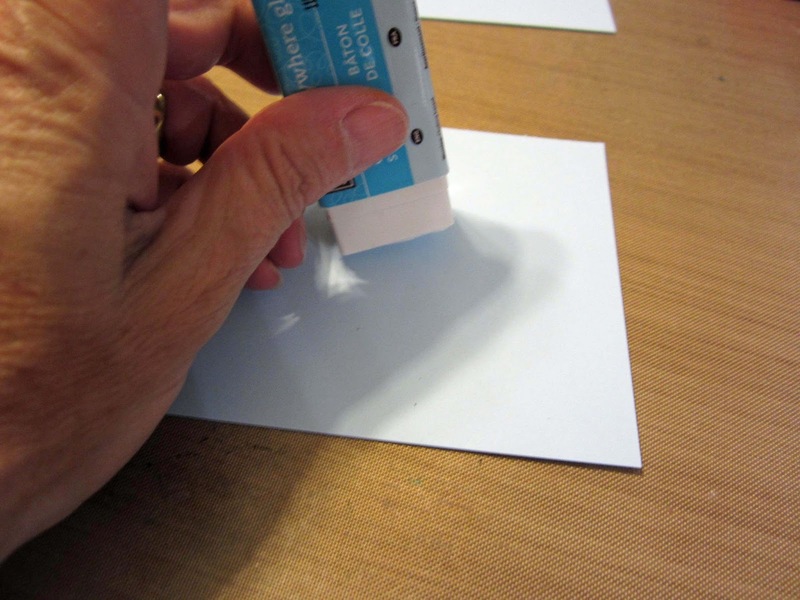 You may also use a brayer for this step. 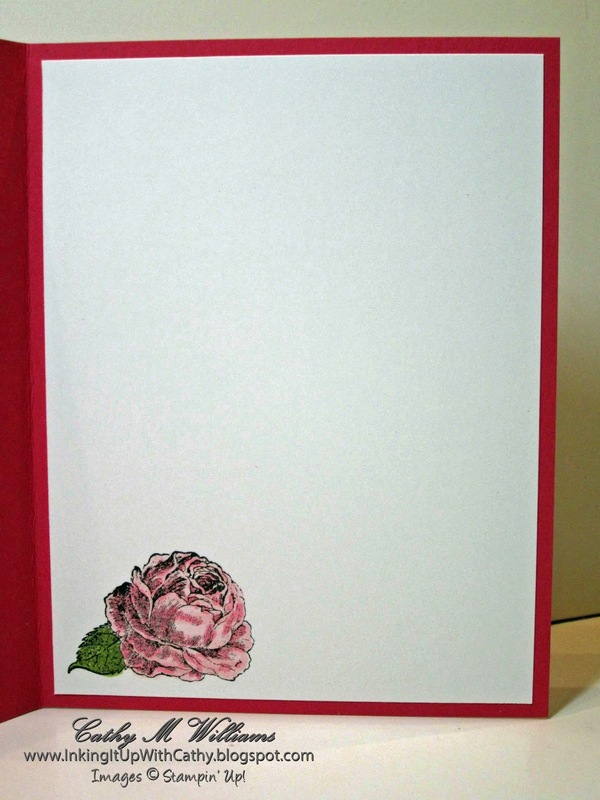 Here is what it looks like with a Whisper White cardstock as opposed to the Bashful Blue that I used in the card. 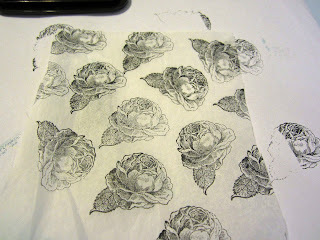 It gives it a very different look so experiment! 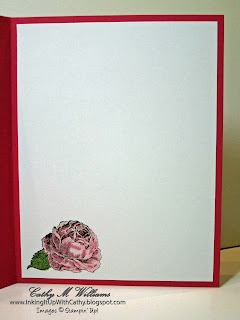 Here's the final card we made. 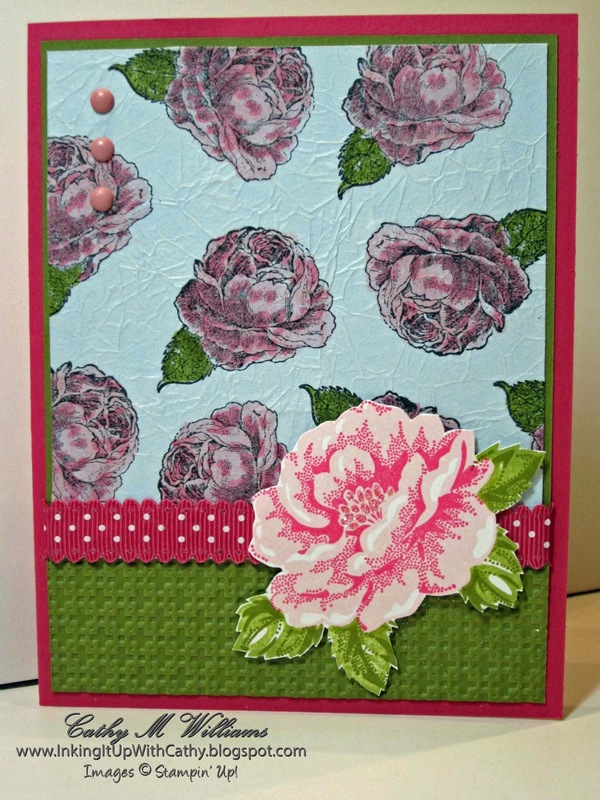 On this card, you can see a two-tone look to the flowers in the faux silk technique. 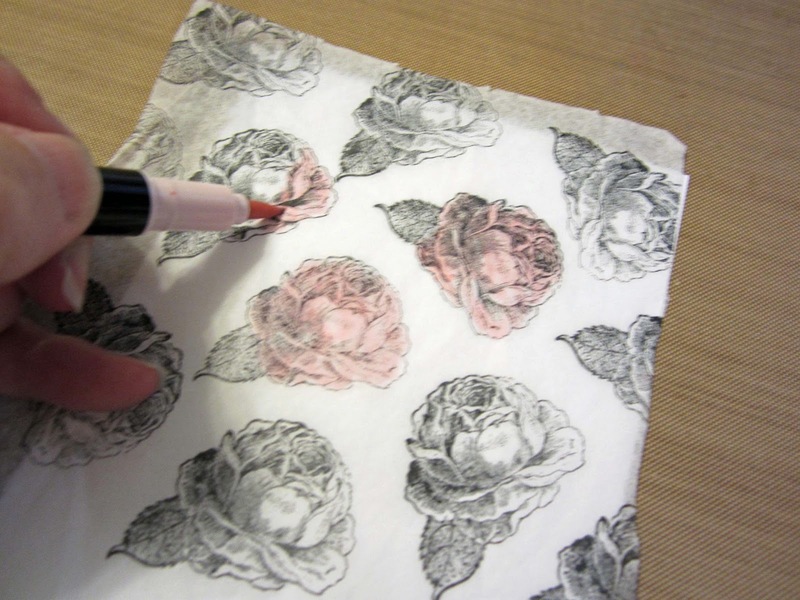 That was done by coloring with two colors of markers.